Lahaina town sits on Maui’s western shores with views of Lanai and Molokai across the ocean channel. 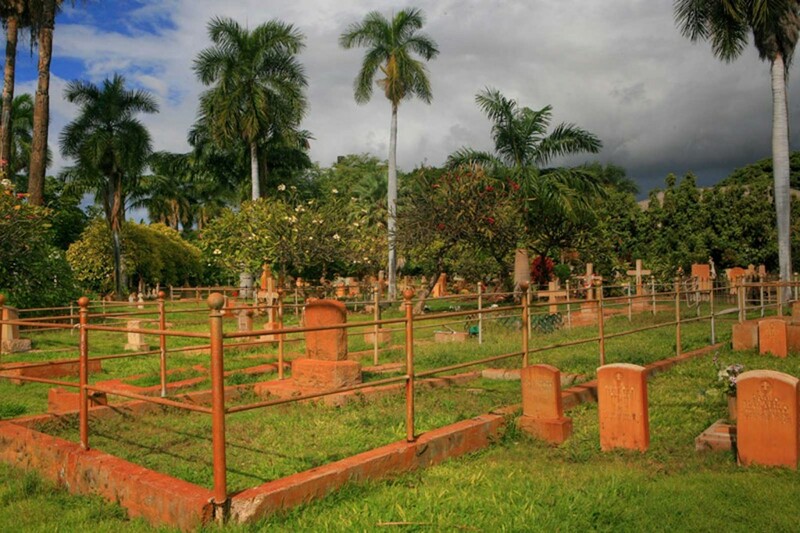 Looking inland, though, brings many other beautiful sights into view, including this cemetery of red dirt stones backed by the West Maui Mountains. A Roman Catholic cemetery in Lahaina, Maui, Hawaii, US. Accented by tall palm trees and occasional rail fences worn by the salt air, this cemetery is truly a unique and interesting spot.